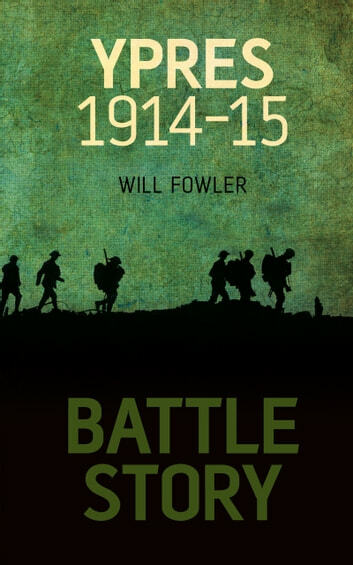 The details behind Ypres—synonymous with the destruction, trench warfare, poison gas, and military stalemate of WW1 Through narrative, eyewitness accounts, and images, this book explores the first and second battles of Ypres. A medieval town known for its textiles, Ypres became infamous during the Great War with trench warfare, poison gas, and many thousands of casualties. As the German Army advanced through Belgium, it failed to take the Ypres Salient. On October 13, 1914, German troops entered Ypres. On looting the city, they retreated as the British Expeditionary Force advanced. On November 22, 1914, the Germans commenced a huge artillery barrage, killing many civilians. In 1917, the Third Battle of Ypres commenced making it an exceptionally dangerous place to live. 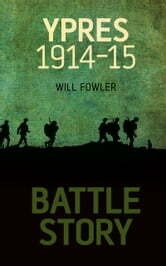 In 1918, a German major offensive was launched, but the British held firm. Ypres was finally safe in late September 1918 when German troops withdrew from the Salient. Today, the battlefields of Ypres contain the resting place of thousands of German and British soldiers.